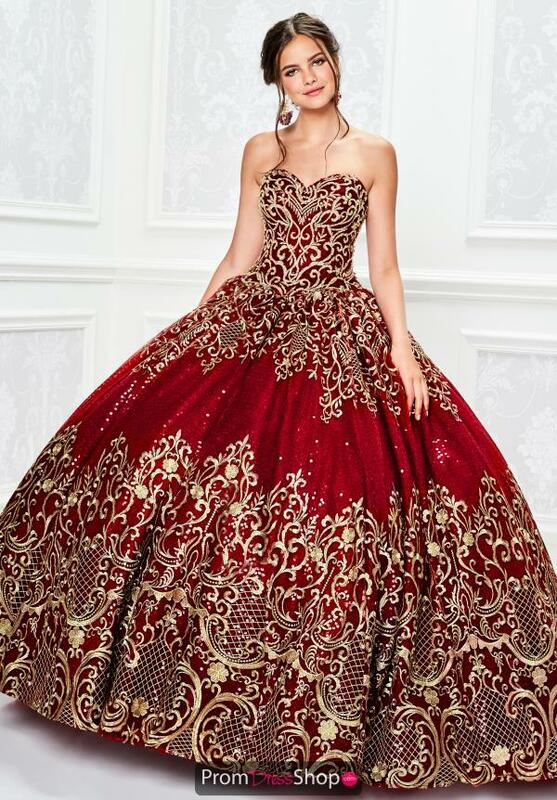 Feel like a modern day princess in this quinceanera dress PR11945 by Princesa. This grand dress showcases a sweetheart neckline with contrasting applique which will make this dress stand out. Followed by its full ball gown skirt adorned with the same contrasting appliques. Finishing up with a lace up back.